Price elasticity of supply (PES) measures the responsiveness of the supply of a good or service to changes in its price. It refers to the responsiveness of suppliers to adjust the quantity of a good when its price changes. High elasticity means that supply is sensitive to changes in price. Low elasticity is the exact opposite. 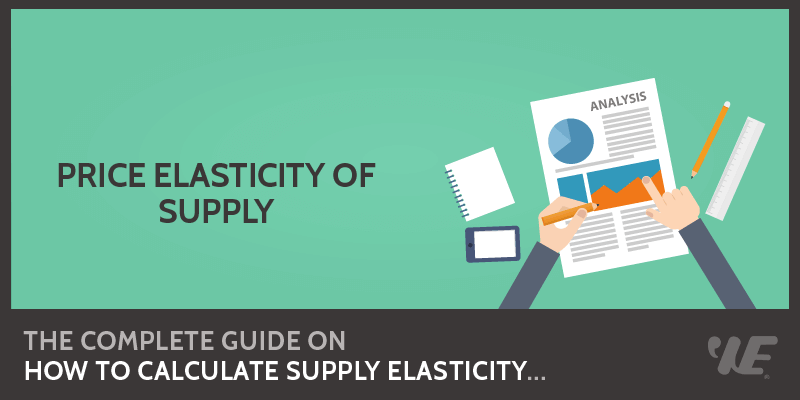 An elastic supply means that suppliers are able to increase their output without constraints as to cost and time. On the other hand, an inelastic supply means that suppliers experience difficulty in changing production and output in a given time. Given a longer period of time, suppliers can adjust their output in response to price change. Therefore, we can say that elasticity of supply is said to be higher over longer periods of time than over short periods of time. A supplier must ideally have a high degree of responsiveness to market conditions in general and fluctuations in prices in particular. The higher the PES of a supplier the more competitive and profitable it becomes compared to its rivals. These factors significantly influence the price of the consumer goods and services, therefore the supply elasticity is affected. Economists use a price elasticity of supply formula to determine the price elasticity of supply. Unfortunately, this PES formula may cause a potential bias when determining the price elasticity. That's because an upward shift in price (or quantity) by a particular unit produces a different result from a downward shift in price (or quantity) by the same unit. For example, a change in price from $20 to $25 creates a percentage change in price of $5/$25 = 20%. However, a drop in price from $25 to $20 will give a percentage change of $5/$20 = 25%. To address this issue, economists use a revised formula called the midpoint formula of price elasticity. As you may notice, this formula is very similar to the midpoint formula that we use to find the income elasticity of demand. The price elasticity of supply is always positive when this modified formula is used, similar to the slope of a supply curve. This eliminates the problem that we faced when used the first formula. Now let's take a look at an example so you can see how easy it is to calculate the price elasticity of supply. ​For example, a particular product was selling at a price of $10 per unit. Because of some changes in the business environment, the manufacturer decides to increase the price to $12 per unit. Assume that when the product price is $10, the quantity supplied is 200, and when the price is $12, the quantity supplied is reduced to 175. First of all, we need to calculate the percentage change in price and quantity supplied of this product. So in this example, the price elasticity of supply when the price increase from $10 to $12 is 0.625 (62.5%). Now let's take a look at another example. In this example, we will use the modified midpoint formula to calculate the supply price elasticity when the price change from $10 to $12. We also assume that the quantity supplied decreased from 200 units to 175 units. Because the price elasticity of supply is 0.182 (18.2%), which is under 1.0 (or 100%), supplies in this case are considered inelastic.